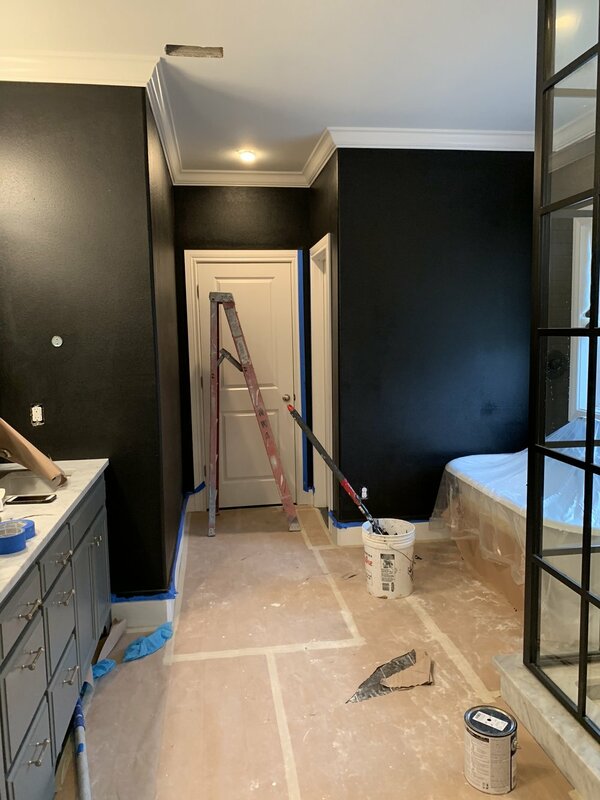 I have to say, when I remodeled my master bathroom in 2015, I didn’t think I’d be repainting it three and a half years later! But this summer, after a raccoon and her kiddos decided to set-up camp above my bathroom, I had to take action. Luckily, after a few weeks Mama and the kids fled the scene. 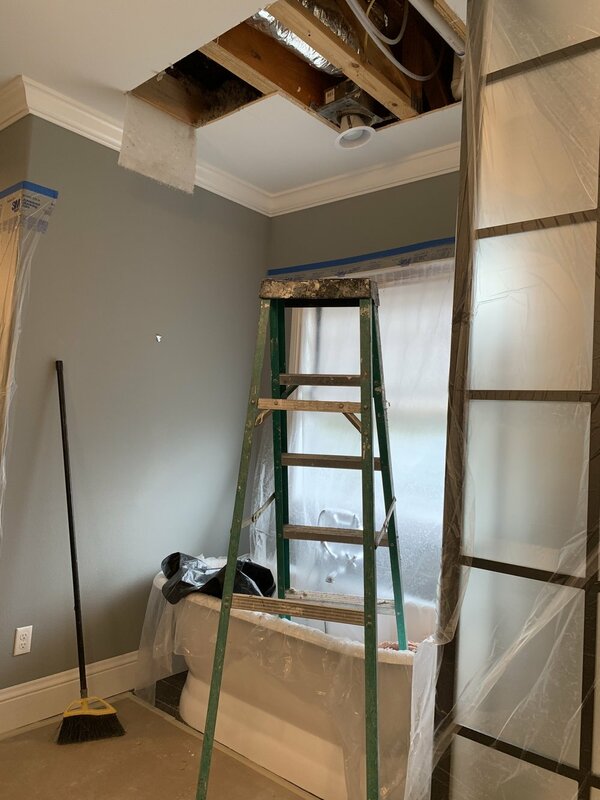 Once they were gone, because of the unfortunate smell, I had to hire a renovation and restore company to come clean up. 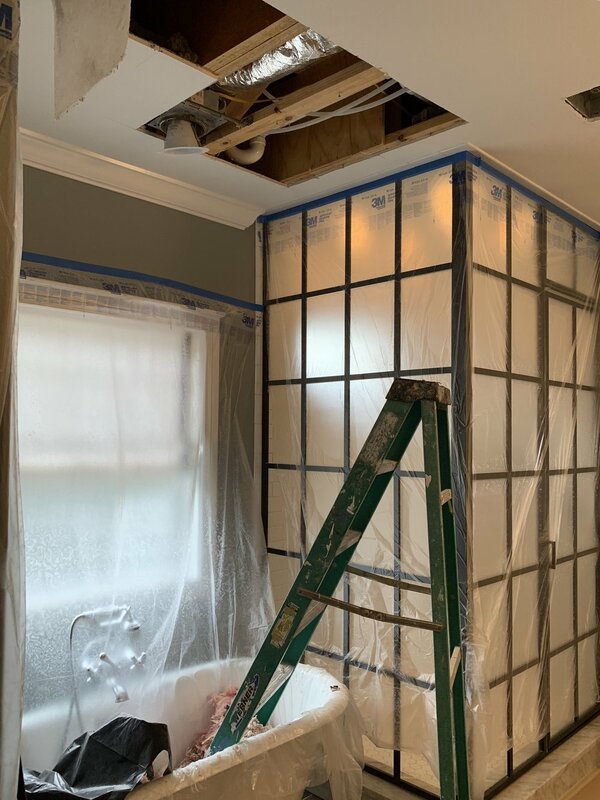 Unfortunately, the only access was through the ceiling of my bathroom (see pics below). Once clean-up was complete, the ceiling was patched and re-painted. And since the restoration team was re-painting, I decided to do something a little more dramatic. 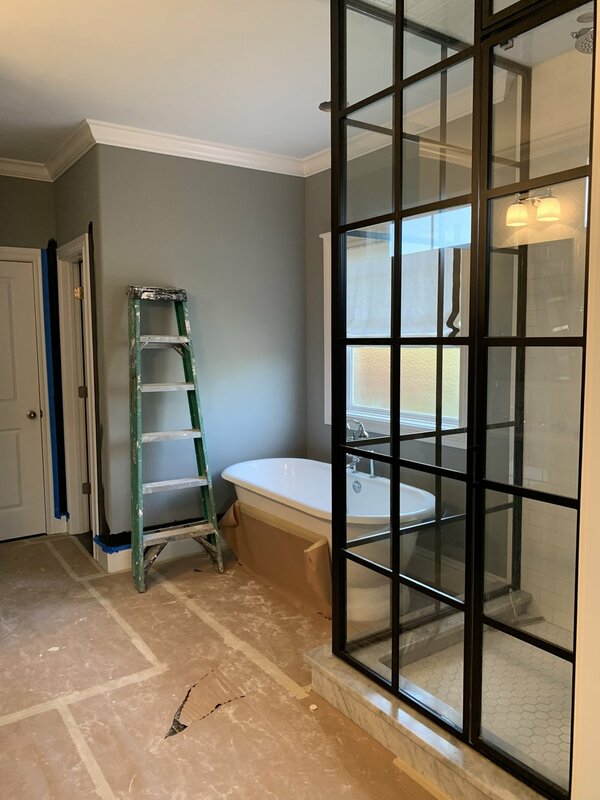 Playing off my original design theme, inspired by the golden age of Hollywood, I decided black would be perfect as it would tie everything together, from my steel-framed shower, to my black and white roman shade. I’m so pleased with the new color (Tricorn Black SW 6258), and how it almost feels like I’m stepping in to a black and white movie.